Everybody's favorite bathroom reader is packed with entertainment like the Twister and Quizzler games. Now you can sharpen your vocabulary and play against the clock with an online version of the two popular pulp favorites. Pick the word that matches a definition or unscramble letters to form a correct word to complete the sentence as you pit your wits against the clock. 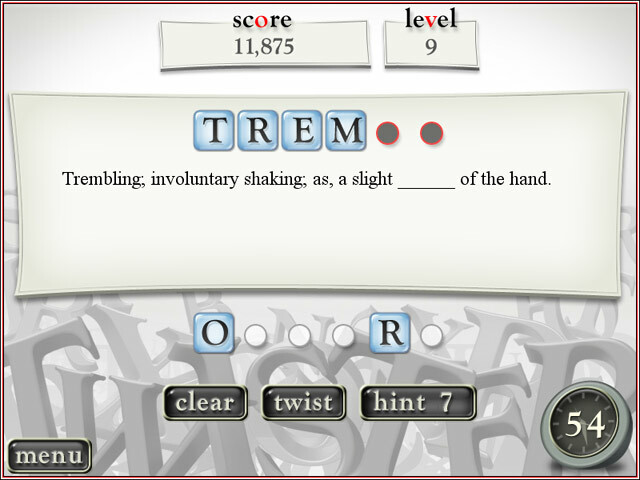 With some practice, you might add one of the more than 5000 words included in the puzzles to your vocabulary. Have fun and pickup new words to annoy friends and coworkers. Sixty minutes of free play is included.